Planning a ski trip? If you’re not accustomed to gallivanting in the snow you may be wondering exactly what you need for this type of adventure. 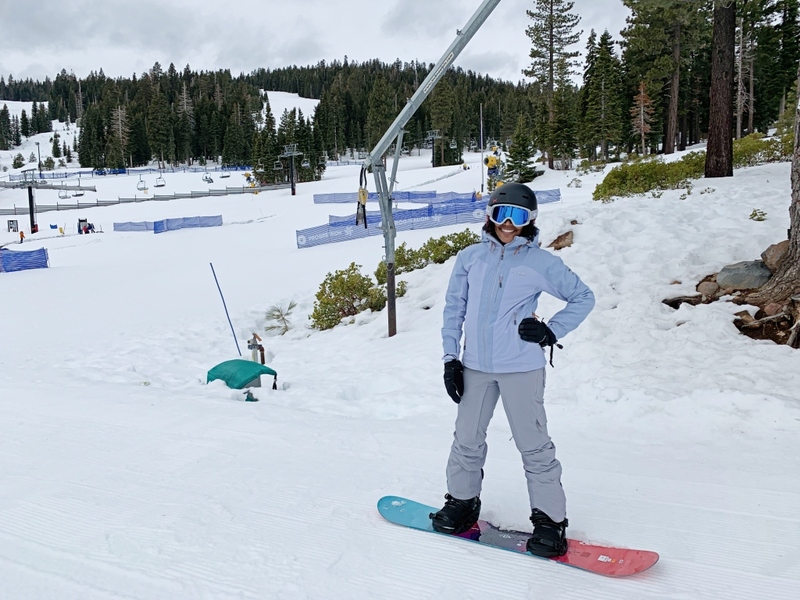 I’ve taken ski trips to Lake Tahoe and Keystone, Colorado and never felt cold due to proper gear. Here’s the ultimate ski trip packing list to keep you warm and dry and your next ski trip! Base layers are one of the most important aspects of any ski trip packing list. You will want to wear lightweight base layers and make sure nothing is cotton. Even if you choose to wear long johns or a long sleeve top or bottom instead of base layers they need to be Polypropylene, Capilene, Wool or other type of synthetic clothing. 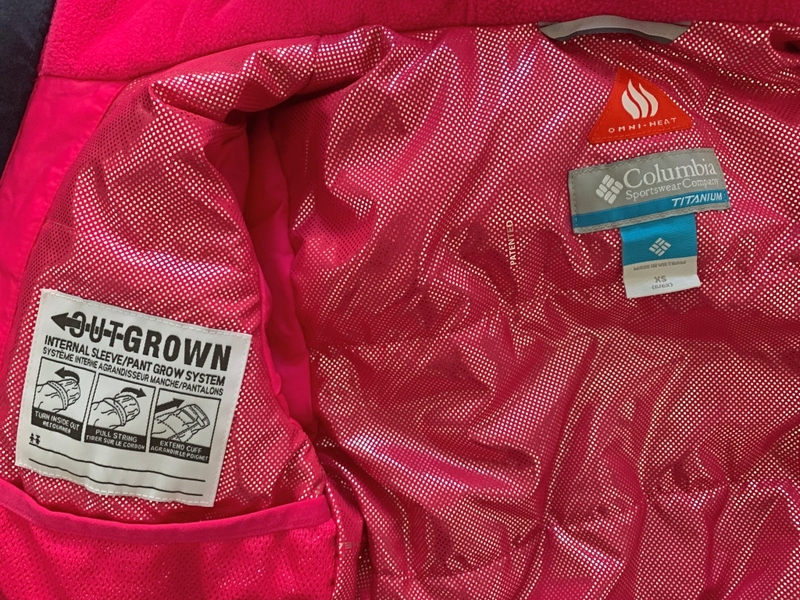 Ski gear is not typically cheap so if you’re shopping for kids I highly recommend buying Columbia’s expandable winter clothing OUTGROWN. This line of ski gear comes with stitching in the seams of the arms and feet that you can remove as your child grows. When you remove it you release additional additional fabric that lengthens the gear allowing it to last more than one season! Face mask, you will especially want this for windy days! Sun protection for you skin. Do not ignore this suggestion as sunburn from the sun glare off the snow is real! Hand and toe warmers! Just trust me, they are a life saver on super cold days! Make sure the boots you buy go up to at least your mid-calf. If there is deep snow and you have short boots your feet could still get wet. I’m naturally a light packer and typically team carry-on. While packing for winter and especially a ski trip it may seem difficult to pack light but it’s possible. Before packing for our ski trip I purchased vacuum sealed bags that allowed me to compress the size of our winter wear. So instead of doubling our luggage we were able to continue to be team carry-on (even flying Spirit Airlines to Keystone and meeting the free personal bag allotment)! As always we wear our heaviest shoes on the plane (winter boots) and carried our winter on in our hands. This also makes you prepared when you land. Your feet and body will be warm without you sifting through your luggage. I hope this ski trip packing list relieves some stress when planning your next ski trip. If you follow these guidelines you will have an amazing time and stay warm and dry while on the slopes. Did you find this helpful? Please share it!